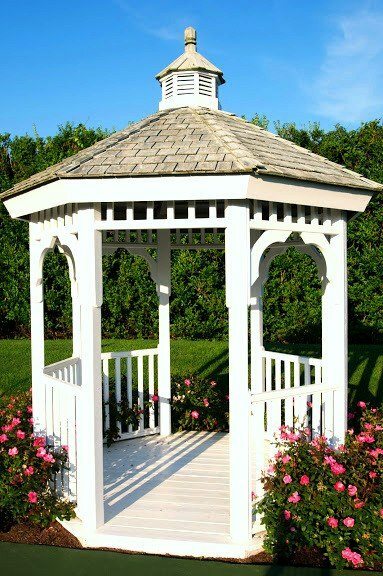 A Gazebo For Gazing: Sited at the rear of the property, this charming structure visually anchors the formal garden area of this East-End estate’s landscape design with instant impact. Custom 8′ x 8′ Clear Cedar Gazebo with Cupola and Outdoor Fan & Light. www.greenislanddesign.com — in Southampton, NY.